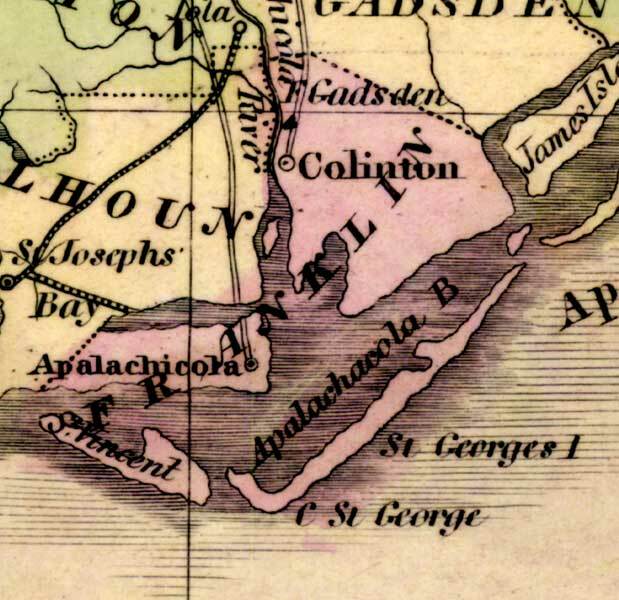 Description: This detail of a 1842 map of Florida shows roads, railroads, counties, forts, naval depots and other military installations, major towns, rivers, and lakes for Franklin County. The main township for this area is Colinton followed by Apalachicola. The coast has a few labeled islands such as Saint Vincent and Saint George. Longitude is shown from Greenwich at the top of the map, and Washington at the bottom of the map. The map scale is in &quoe;American Miles."